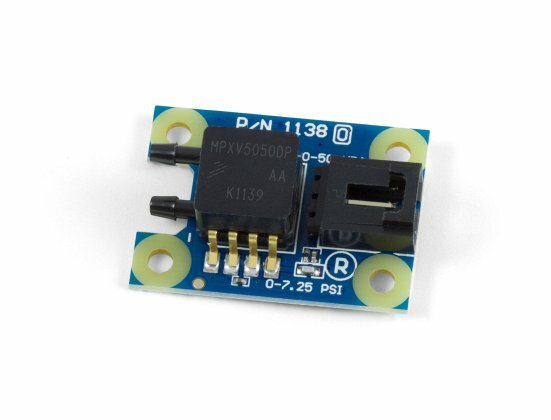 The 1138 Differential Pressure Sensor is a dual ported air pressure sensor that measures the pressure difference between the two ports. 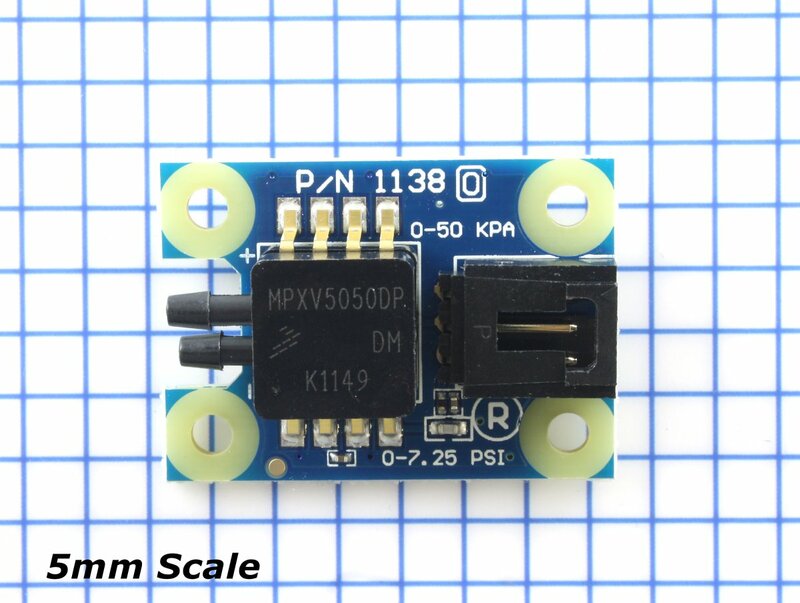 It can measure pressure from 0 kPa to 50 kPa. 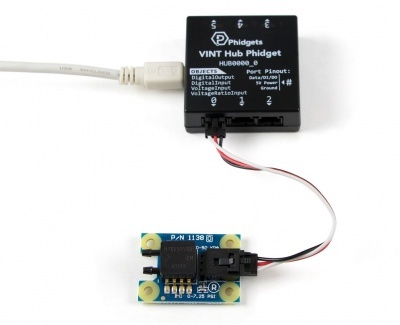 Connect the 1138 to the HUB0000 with the Phidget cable. 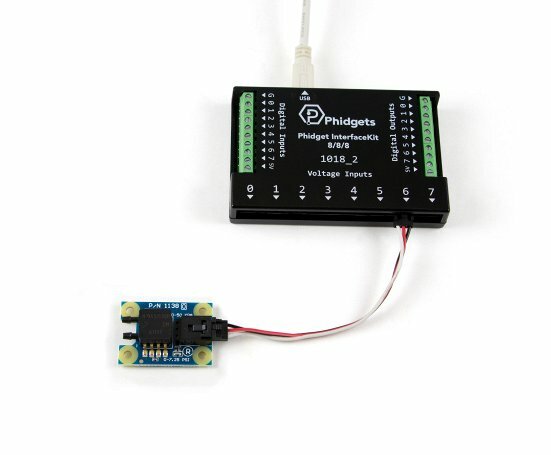 Now that you have everything together, let's start using the 1138! 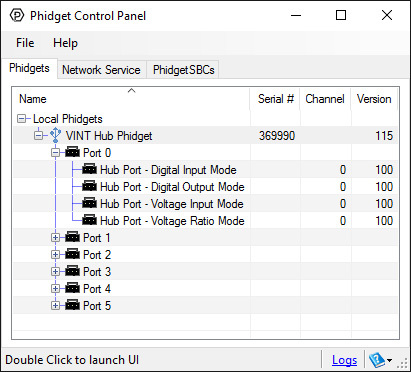 In order to demonstrate the functionality of the 1138, we will connect it to the HUB0000, and then run an example using the Phidget Control Panel on a Windows machine. Linux users can follow the getting started with Linux guide and continue reading here for more information about the 1138. 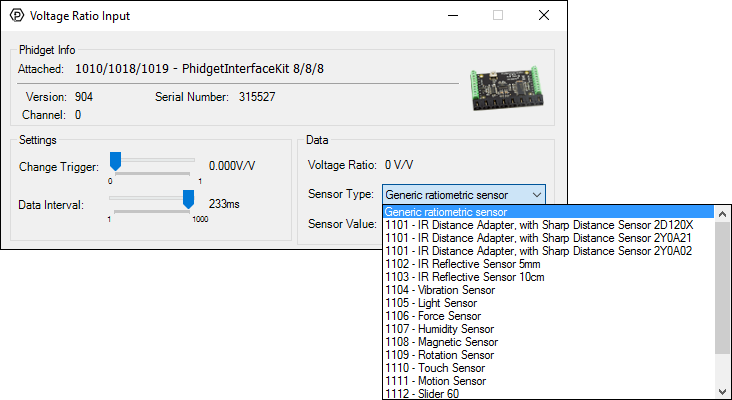 Select the 1138 from the Sensor Type drop-down menu. The example will now convert the voltage into pressure (kPa) automatically. 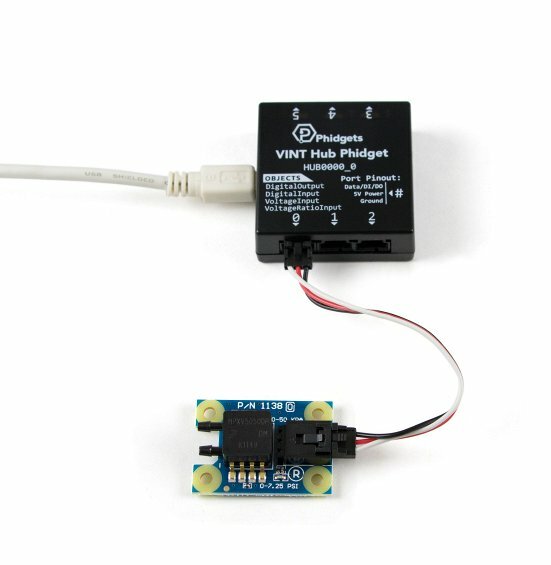 Converting the voltage to pressure (kPa) is not specific to this example, it is handled by the Phidget libraries, with functions you have access to when you begin developing! The 1138 uses bipolar processing to provide an accurate, high level analog input signal that is proportional to the applied pressure. 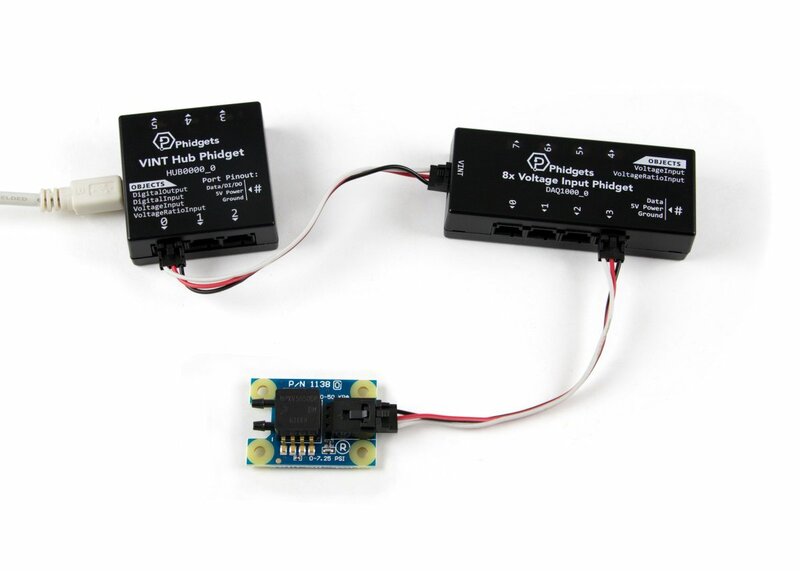 When the sensor is plugged in, the sensor voltage should default to about 0.2V, which corresponds to 0 kPa between the two ports. 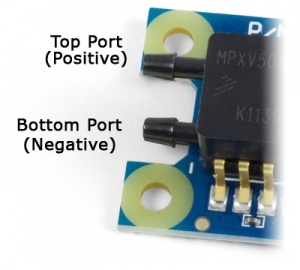 The sensor comes with a positive top port and a negative bottom port. 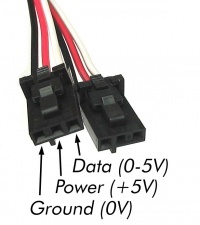 These ports have a diameter of 2.79mm to 3.30 mm (nominal 3mm). Take caution when connecting the pressure ports, this sensor only measures a positive pressure differential, and you could damage the sensor if you connect it in reverse. Ensure that the upper port is always at an equal or higher pressure than the lower port.